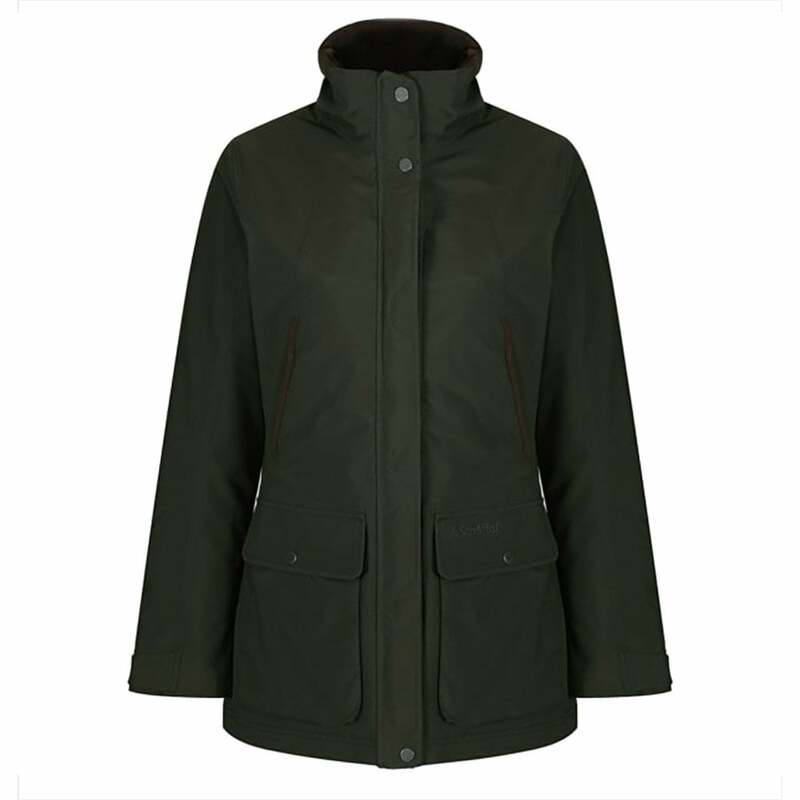 The Schoffel Rockingham Coat is a sporty and stylish women's coat offering protection from the elements. Waterproof, breathable and windproof with Primaloft insulation. Sport cut, this great coat is designed with ease of movement in mind, essential stretch in the Venturi® laminate fabric which allows this coat to move with you as you need it. The Rockingham is designed with shooting in mind, but suitable for many outdoor activities, there are reinforced bellow cartridge pockets with retainer strap and a pocket for a recoil protection pad (pad not included) if required in either shoulder and also features beautiful Ptarmigan printed lining, an Alcantara trim details, detachable hood, adjustable storm cuffs to keep you warm, dry and protected whatever the weather.